All Bancroft Gift Cards are sent via USPS Priority Mail. There is a $4 fee for delivery. Gift cards are only redeemable at The Bancroft, as well as Gibbet Hill Grill, Scarlet Oak Tavern, and Bancroft & Co. The Bancroft blends an urban sensibility with the classic American steakhouse to bring a dynamic dining experience to Burlington. 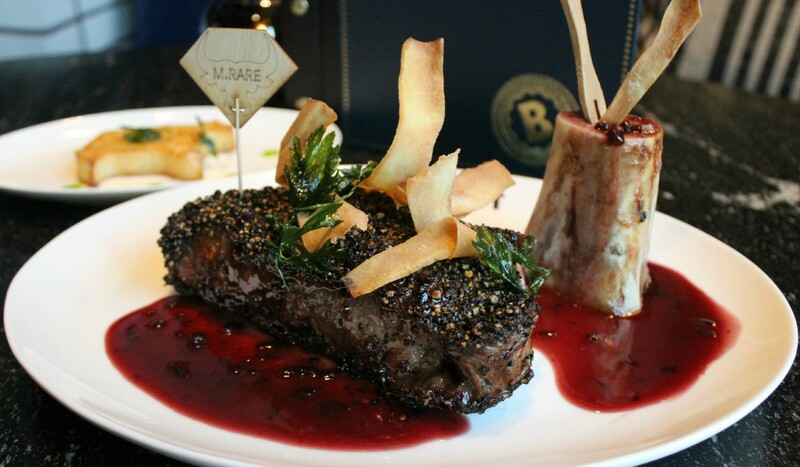 We strive to leave a lasting impression with our dramatic surroundings, smart wine list, warm and hospitable service, hand-crafted cocktails, and of course, the finest steaks available. Lunch, dinner, or cocktails - welcome to your new home! The Bancroft will be open on December 24th until 3pm, and closed all day on December 25th. We will be serving our regular dinner menu on December 31st, with the addition of several specials to celebrate ringing in the new year. Please call (781) 221-2100 for reservations. The Bancroft Cocktail Menu is innovative, seasonally appropriate, and evolving, utilizing product such as Bancroft Barrel Select Privateer Rum, house made bitters and tinctures, and lesser known artisanal spirits. With an emphasis on house originals and classics prepared as they were meant to be, the beverage program is updated frequently, but retains the highest level of standards using the highest quality of spirits and utilizing proper technique. 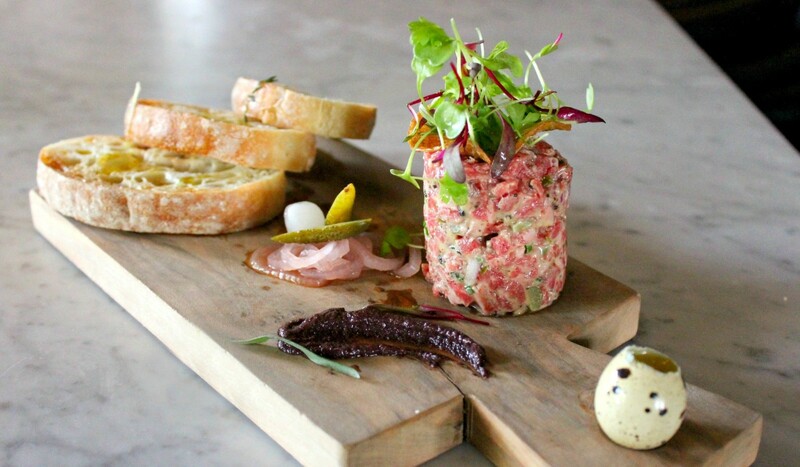 We strive to provide an experience where food, wine, and cocktails all intertwine to invoke a truly remarkable dining experience. We are pleased to offer a variety of private dining rooms at The Bancroft for you to host your next business meeting or special event. Please don't hesitate to contact us to discuss your event needs, however big or small. 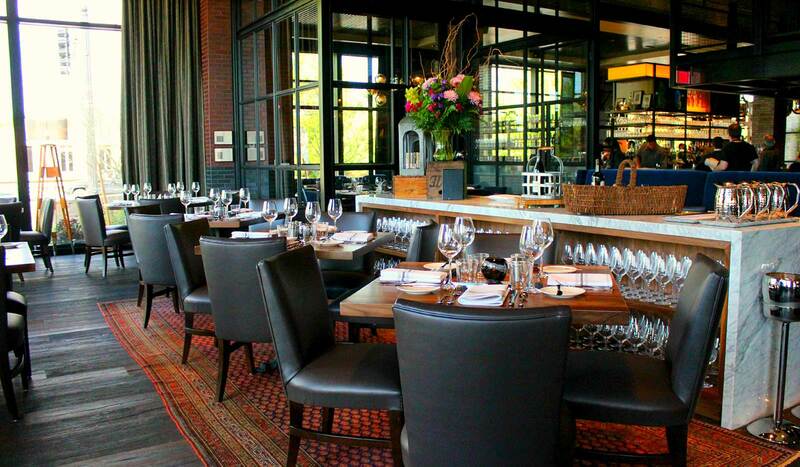 16-24 seated/up to 20 standing; A stunning glass room in the heart of the dining room, containing four round tables. This medium sized space is ideal for a convivial celebration or business gathering. 8-12 seated; Ideal for an intimate and impressive dining affair, this room features one large rectangular table. Four walls of steel and glass provide privacy, while giving a glimpse of the activity into the bar, lounge, and dining room. 13-18 seated/up to 35 standing; The exclusive dining space on the mezzanine features one long table for private dining. Guests have access to a private lavatory, a 46” monitor, and the catwalk surrounding our glass wine vault. A perfect location for Executive dinners, and festive cocktail parties. 35-55 seated/up to 80 standing; Our largest space features world class artwork. It’s versatile, with an open floorplan, a 55” monitor, and a variety of table shapes and sizes. This space is home to weddings, showers, cocktail parties, and multicourse seated meals. Chef Mario has served as Executive Chef in some of the best-known and highest regarded restaurants in Boston, from Locke-Ober to Scampo to Towne. His career began with chef Lydia Shire at Biba, followed by a stint at chef Daniel Boulud’s Daniel in New York City. 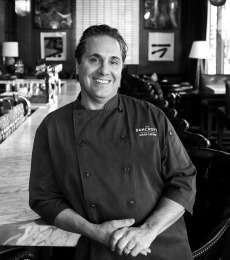 After Daniel, Mario relocated to Las Vegas where he ran multiple restaurants for Caesar’s Palace before returning to his home state of Massachusetts. As Executive Chef of The Bancroft, he led the culinary team to receive scores of accolades including Best New Restaurant (Boston Magazine), Best Burger in Boston (Boston Magazine), and a place on Thrillist’s list of the Top 31 Steakhouses in America. 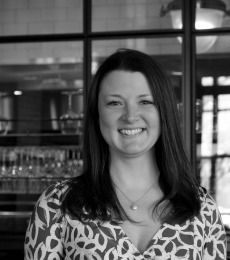 Sheena Lake began working with Webber Restaurant Group in 2007, as part of the opening service team at Scarlet Oak Tavern. Fast forward to 2014, she was tapped to open The Bancroft as one of the opening managers. Sheena grew up in Whitman, MA, “home of the Tollhouse Cookie” and went to college with intentions of taking over for Al Michaels on Monday Night Football. However, Sheena really fell in love with the industry while working her way through school, realizing that every day offers a new experience and an opportunity to take part of a guests’ memories. Her favorite part of managing a restaurant is the look on a guest’s face when their menu item is placed in front of them. Fun facts: Sheena is sucker for anything 80’s pop culture and has a hard time choosing between tequila and whiskey. Chef Tito arrived in the U.S. from Mexico at the tender age of 17 and began working in kitchens the moment he arrived. Working as a dishwasher, he would volunteer to help the line cooks so he could soak up as much culinary knowledge as possible. He found himself lucky to be in the company of renowned chefs such as Tod English, Robert Kincaid, and Lydia Shire. It was Lydia and Chef Mario Capone who gave Tito the opportunity to try his hand as a line cook, and quickly worked his way up to sous chef, while working at Scampo and eventually Towne Stove & Spirits. In 2014, he joined Mario to open The Bancroft. When he is in his own kitchen, he loves making pasta for his fiancé and during football season, Tito cheers for his beloved New England Patriots. He feels fortunate to live near most of his family and enjoys gardening with his dad and creating dishes using ingredients from their harvests.